If the latest Facebook privacy scandal has left a bad taste in your mouth, you’re not alone. Here’s how to delete your Facebook, and some alternative social networks you can use instead to sell your art and maintain an online presence. In a nutshell, the personal data of 50 million Facebook users was harvested via an app by a data analysis company called Cambridge Analytica. The data was allegedly used to create psychological profiles of Facebook users, which were then used to create targeted political campaigns during the 2016 U.S. presidential election, as well as well as the Brexit campaign. Whether this activity actually exerted any real influence over those elections is disputed, but the issue of the privacy breach remains. Side note: Facebook is not the only company that has this kind of data. It’s also not the only company that has had a massive data breach. Banks, credit reporting agencies, and other companies have just as much data on you. The scandal was that the app in question, a simple quiz, exploited a Facebook loophole that allowed the app to harvest the data of friends of the Facebook users who used the app, clearly without those friends’ knowledge or consent. Facebook maintains that this was not a “data breach”, but ultimately this is a game of semantics. Users had their data harvested without their knowledge and permission, and this information was subsequently illegally sold. Vox.com provide a helpful illustrated diagram with the basics of this complicated story. The fallout was immediate and severe- the “movement”, as some are referring to it, revolves around the hashtag #deletefacebook. Perhaps you’ve seen it? An editorial in The Guardian immediately called for everyone to delete their Facebook accounts (not just a little ironic, of course, was the icon at the bottom inviting you to share this article on Facebook). Opinions are mixed and strong- we feel stuck between a rock and a hard place. After all, it’s 2018. It’s very, very hard to do business without being online. And in the era of social media, being online means being on Facebook. But we can’t ignore the implications of Facebook’s Terms & Conditions, which state that they can use your data to target you with “more precise” ads, track your other movements online when you’re logged in, and even use your data for research. But there’s just no way to get around this, right? If you want to run a successful business, you have to be on Facebook. 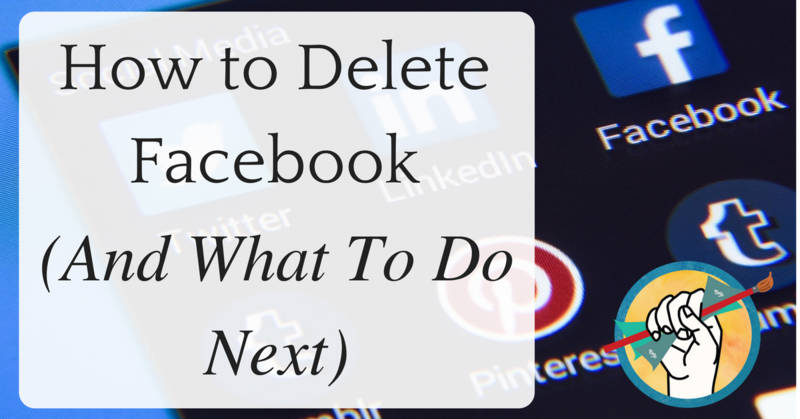 First off, if you’ve given it a lot of thought and have decided you want out, you’ll want to decide whether you want to deactivate or completely delete Facebook. Deactivation means you won’t show up in searches and people can’t view your profile, but you can reactivate your account at any time. This would be a viable option if you want to wait it out and see what changes may come in the future, but want to take a step back from creating new data for Facebook to… use. Facebook is pretty ubiquitous, and if you’ve been using it for a lengthy amount of time, you’ll probably want to simply deactivate it for a while before making the decision to delete for good. Deletion, on the other hand, is permanent. Your account info won’t go away immediately, and be aware that Facebook will likely retain some, if not all, of the data you produced for them while you had an account- the information that they track like ads clicked on, interactions with other accounts, etc. will still belong to them, albeit “stripped of all personal identifiers”. If you’re ready to permanently delete your account, you’ll first want to download a copy of your info. To do this, click the arrow in the top-right corner of the screen next to the help icon. Select “settings” from the dropdown menu, and then at the bottom of the page select “Download a copy of your Facebook data.” You’ll be asked to verify your password. Once you’ve received a copy of your data via email, let Facebook know that you want your account deleted. There will be a waiting period of a few days, during which time the deletion request will be canceled if you log back in. This is the million-dollar question. What social network can replace Facebook? Well, arguably if you’re considering complete deletion, you’re not looking for a 1:1 replacement. 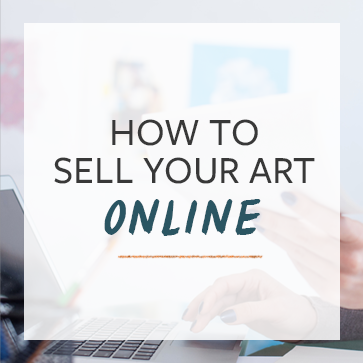 But if you still hope to sell your art online, the good news is that you have a few options. But remember that Instagram is also owned by Facebook. create a few posts about it over the span of a week or so. Include images in some, perhaps a short video in another to reach as much of your audience as possible (Facebook likes videos). Send an email to your list letting them know where they can find you from now on. While the concerns about Facebook are very real, you don’t want to jump the gun and lose a huge chunk of your audience in the process of transitioning. So allow it to be just that- a process. Instagram is a platform well-suited to the sharing of art for social and business purposes, and a lot of artists are finding success there. Be aware, however, that Facebook owns Instagram. So if your desire is to get as far away from the entire company as possible, Instagram is probably not the platform for you. However, Instagram is a much more limited platform. By virtue of this, you as a user are producing a smaller range of data. Regardless, read the Terms & Conditions before making your decision. Pinterest is not a social network, but it mimics one in many ways (which may scratch that little red notification itch for you), and it can be a powerful channel for selling your artwork. Read more here about how to use Pinterest to sell your art. Tumblr is a fascinating cross between a blogging platform and a social network. A bit more raw and unregulated, it is the place many people go … to not be found. But you can grow an audience there for your art, and unlike Instagram and Facebook, there’s no algorithm deciding whose posts you see. If you follow someone, you see their posts chronologically. Simple as that. How refreshing! In spite of this, Tumblr is a bit more mysterious. Things that work on other networks to get reactions and attention will not work here. But Tumblr is very, very art friendly. Even if you decide not to use it to sell your own work, I do recommend checking it out simply for the sake of discovering new and beautiful art. Vero is still up-and-coming, but some are billing it as “the new Instagram”, thanks to their commitment to a chronological feed and image-friendly feed structure. They aren’t without their own controversy, but worth checking out if you want to stay abreast of popular social media while simultaneously backing away from Facebook. While Facebook is a giant with the potential to reach a massive audience, it’s no secret that it’s going to cost you to do so. The frequent algorithmic changes and the limited scope of your organic reach can be downright exhausting. Combine this with the latest data scandal, and few would blame you for considering a switch. The good news is that the real key to selling your art successfully on any social network is focus and commitment. Choose one platform, set a goal, focus on only that one platform, and you are likely to see progress no matter where you choose to put down your digital roots, so to speak. Are you considering leaving Facebook, or do you think this is all blown a bit out of proportion? We’d love to hear your thoughts in the comments. I won’t recommend that you delete Facebook. I think it would be a big mistake if you want to sell your artwork. First Facebook is by far the absolute most important and biggest social network regarding users. You won’t find any other platform where you can get access to so many potential customers. Second, almost all social networks are behaving like Facebook and selling user information, so you will meet the same situation everywhere. Personally, I don’t think its ok the social networks are selling our data. But you have to marketing your art if you want to sell it. I have been struggling to find a social media platform that works best for the viewing and selling of my art. This article has some good ideas for navigating what may work best. I do not agree with what Facebook does, but it is nearly impossible to keep my contacts while moving to a different site. I’d think our information is available to nearly anyone who wants it, so the difference is non-existent. I haven’t gotten to the point of deleting Facebook but I do spend much less time and energy on FB simply because it’s become less and less relevant with the privacy issues and the flood of ads. Instagram seems to be where my audience has shifted and for anything visual, it’s a much nicer place to be ! Facebook’s nonsense didn’t start with the Cambridge Analytics debacle. They have been doing it for years! And people would have known this if they were paying attention. They have now also started to play censor which is even worse than data mining because it is a slippery slope into control. It is not o.k to just accept all this as the ‘way things are’. We have been sleepwalking into submission. We can start to demand a different set of rules for social media. We are many and they are few. Vote with your wallet and your feet. There are going to be new solutions if enough peeps dump these creeps. I know at present one will have to choose the better of the worst . But we are the only ones that can force a change by dumping the worst first and hopefully the void will be filled by a platform with scruples. It will not happen if we do not send a message.